There is nothing nicer than being able to take your pooch along for a quiet cappuccino in the morning, and luckily, the Auckland cafe scene is quickly adapting to allowing dogs to come along too. It used to be that if you wanted to take your dog along for coffee and a snack, then you practically had to practically beg the cafe owner to let you bring your dog too. Thankfully, this has changed massively over the past few years with Auckland cafe owners realising, that by allowing well-behaved dogs to join us for our morning coffee, it allows for a happier scene. Here are 5 of the best dog friendly cafes in Auckland. 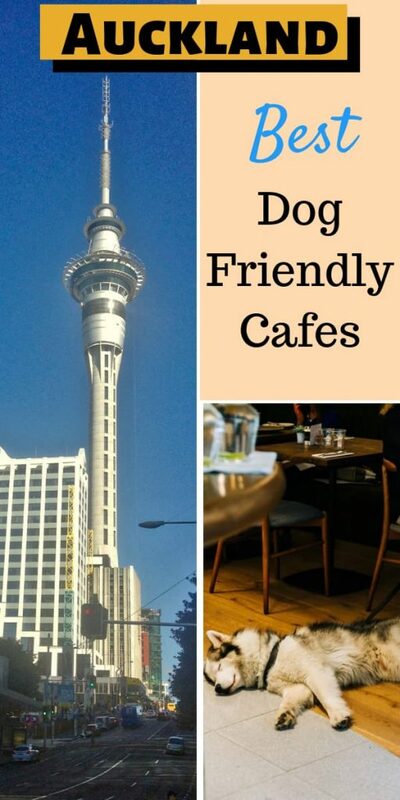 Top 3 Dog Friendly Cafes In Auckland. 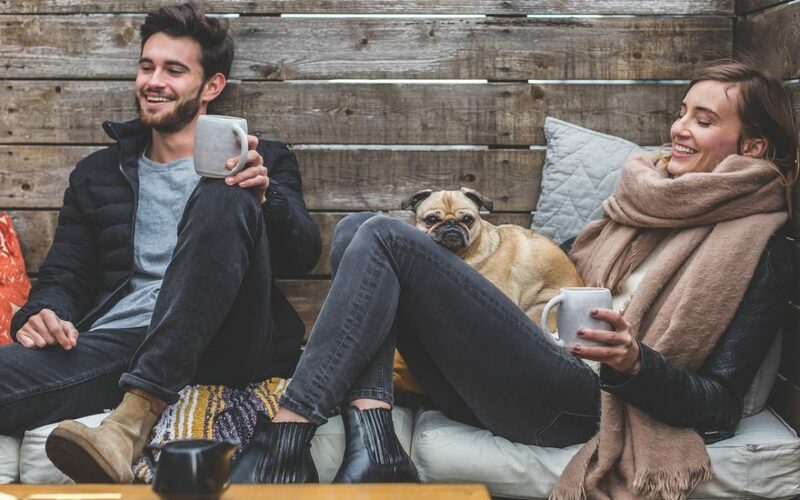 The number of dog owners in Auckland alone is a staggering 100,000 – combine that with the fact that New Zealander’s have gained fame on the world’s coffee scene for pioneering the ‘flat white’, it any wonder that kiwi’s and their dogs are looking for cafes to enjoy together? Whether you live in Auckland or are simply visiting the city of sails on a holiday with your pooch, you won’t have to look far to find a cafe that is dog-friendly. If you need a fabulous coffee, and some live entertainment then head to Best Ugly Bagels. The staff here (and I can also vouch for the Wellington branch too) are super friendly and are very open to your dog joining you for breakfast or lunch. Not only will you enjoy fabulous food but you and your dog can watch as the huge wood fire churns out hundreds of fresh bagels. The majority of the seating at the Ugly Bagel Company in City works depot is outside so you can enjoy the fresh air, but if you do need to head indoors take your furry friend with you and enjoy the chic, hip but very friendly atmosphere. We love this cafe! It is open and airy and the perfect place to take your dog. The Woodworks Cafe has a lovely deck meaning that you and your best friend can enjoy the fresh air, the sunshine and relax. If you are feeling hungry try our personal favourite – the eggs benny – they are delicious. Water bowls for the dog are readily available. Takapuna beach is a dog lovers haven. This beach, it seems, is the place to walk your dog and to meet new doggy friends. 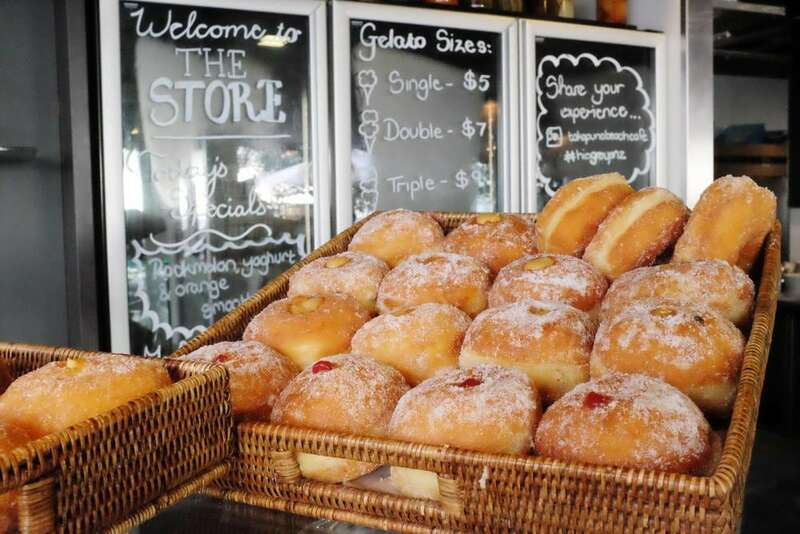 After you have had plenty of social interaction, make sure to head over to the Takapuna Beach Cafe. This beautiful cafe and store have views to die for, you really don’t want to go home. You can take away odd and coffee from the store or dine in with your dog at the cafe. This cafe is very much geared towards dogs and their owners, there are even three different sized drinking bowls for your pooch to feel special! Dog Sitting in New Zealand. How to find the perfect dog sitter. Olive oil. Is olive oil good for a dog’s ears? So there you have it! Our top 3 dog-friendly cafes in Auckland. if you would like to add to this list we would very much appreciate it! Leave a comment below or message us with your favourite place to take your dog for a coffee!